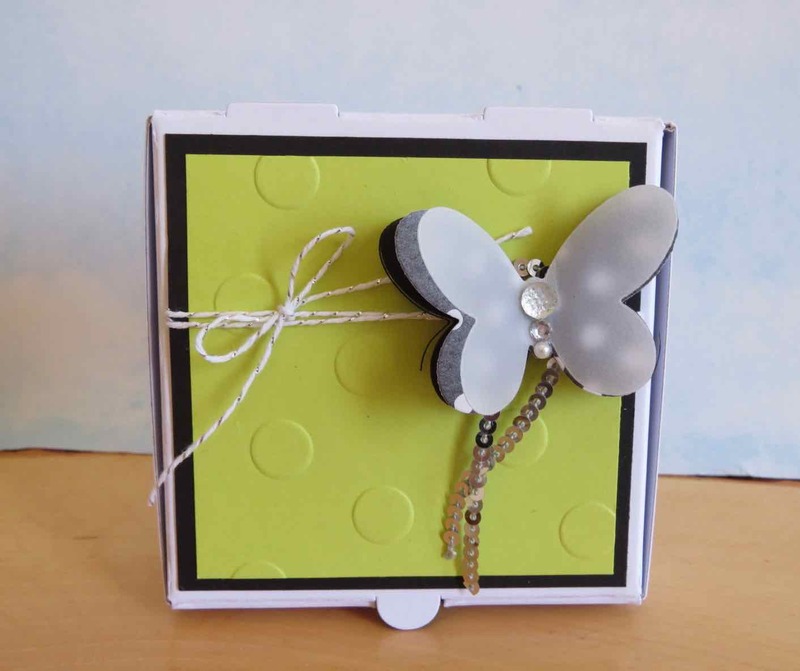 Karina's Kreations: Beautiful Butterfly Box using the Butterfly thinlit dies! Beautiful Butterfly Box using the Butterfly thinlit dies! We have had a lot of snow in Edmonton this year so I'm hoping for an early spring. We made this cute box at my team stamp night last night and I was so happy with this little box. You can get a package of pizza boxes for $8.00. They are quick and easy to assemble. With a little decorating they make cute packaging for a little gift. I put pictures of the supplies to make the box with a link to my stamping store. Just click on the picture to start shopping. I have a tip for the butterfly. There are three layers made up of Black card stock, Petal Passion Designer Series Paper and Vellum card stock cut with the butterfly thinlit dies. 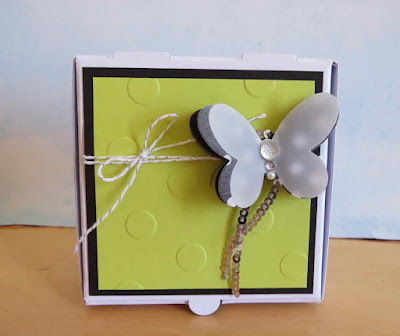 Each layer has a mini Stampin Dimensional giving a lot of dimension to the butterfly. I love how the butterfly uses a Clear Faceted gem, a rhinestone jewel and a pearl.